with the WRAP-A-NAP® - the patented sleep solution that puts a travel pillow, sleep mask & earmuff into one ultra-soft, super-squishy package that provides total darkness, muffled noise & 360 degrees of pillowy protection. 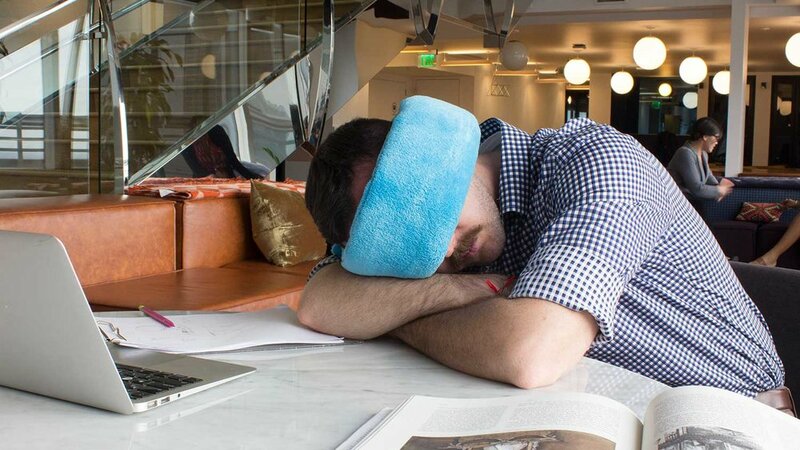 It's the perfect sleep aid for tired travelers, sleepy students & needy nappers of all stripes. WRAP-A-NAP® IS A REGISTERED TRADEMARK OF REST BEST LLC | US PATENT D631500. OTHER US & FOREIGN PATENTS PENDING.